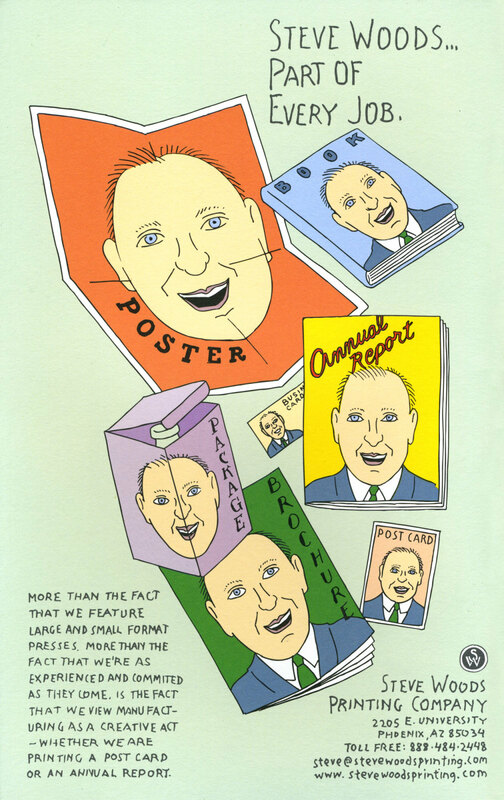 Ads for The Nose followed in the tradition of the Push Pin Graphic, and the Push Pin Almanack. 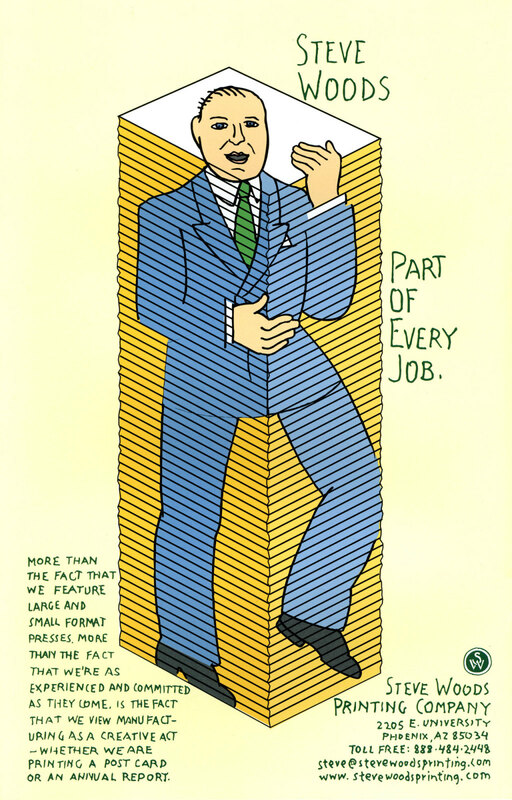 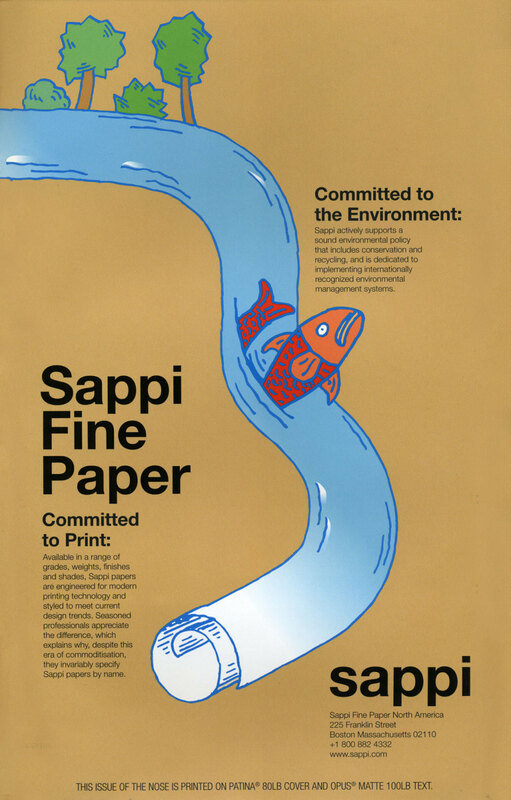 Chwast created advertisements for printers, typographers, and paper suppliers (in exchange for production services) that were integrated into the design of each issue. 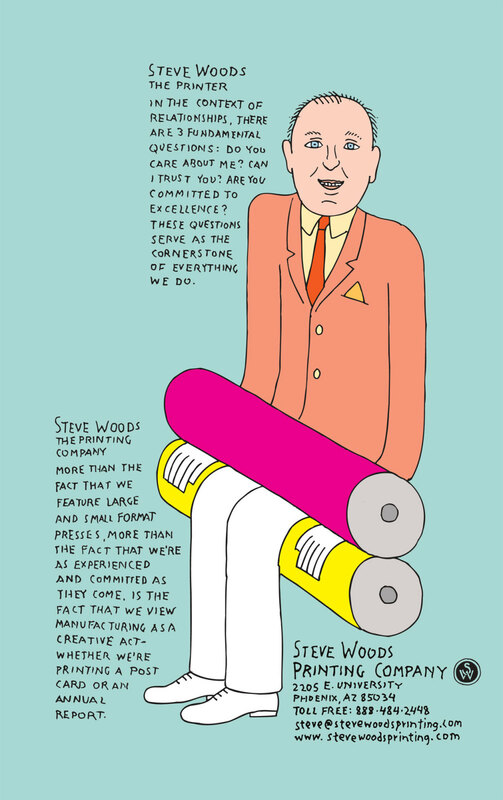 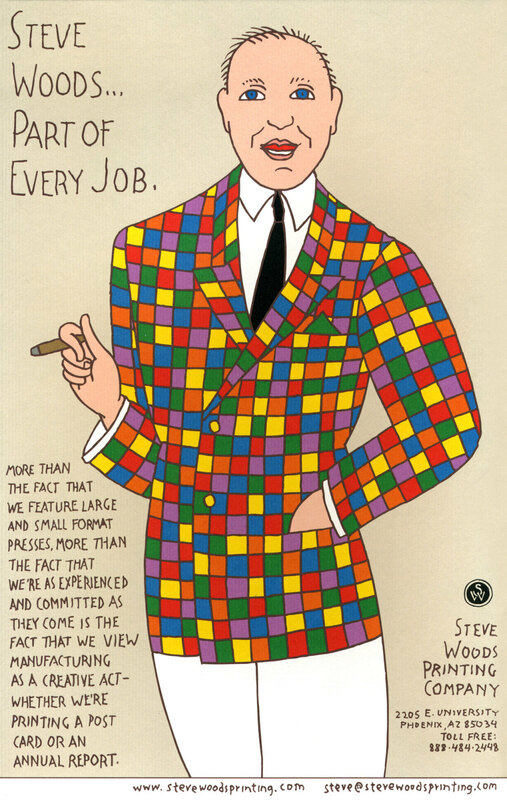 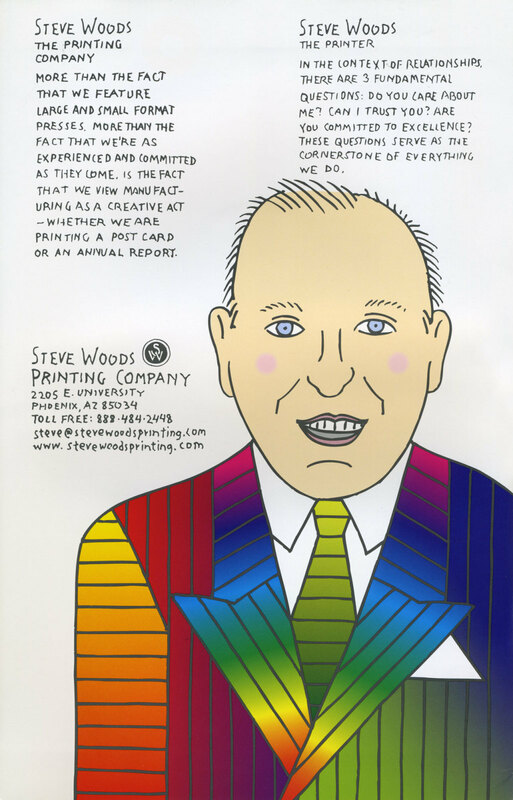 Steve Woods was a huge fan of his hand-drawn alter ego. 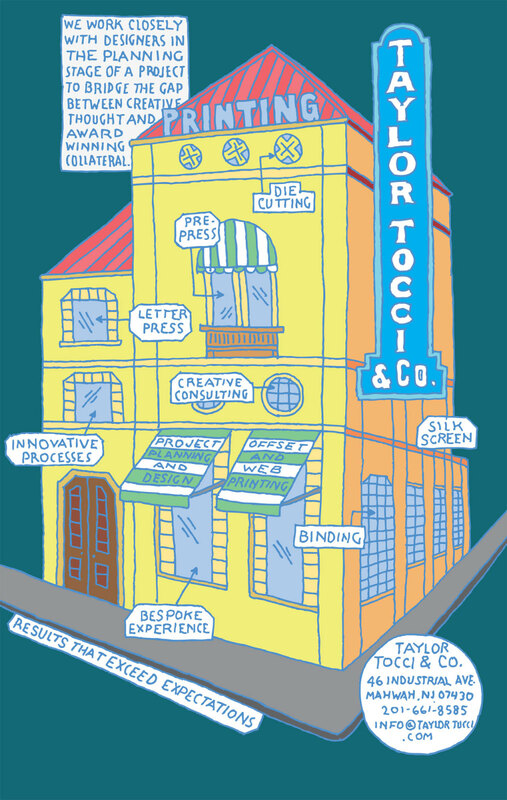 Clients: Steve Woods Printing Company, Sappi Fine Paper, Taylor Tocci & Co.